Signed and dated l.l. corner, black ink "G Cossington Smith. 52". 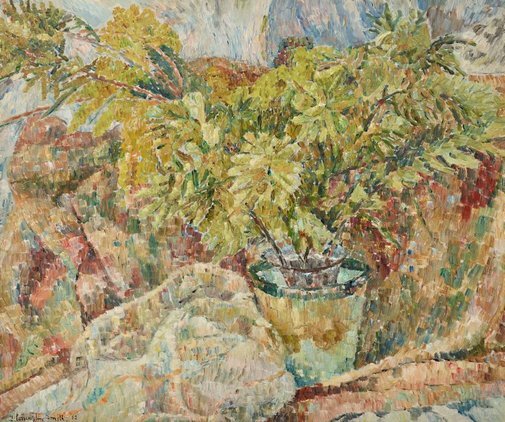 Deborah Hart, Grace Cossington Smith , 'Cultural landscapes', pg. 56-75, Canberra, 2005, 65, 66 (colour illus.). 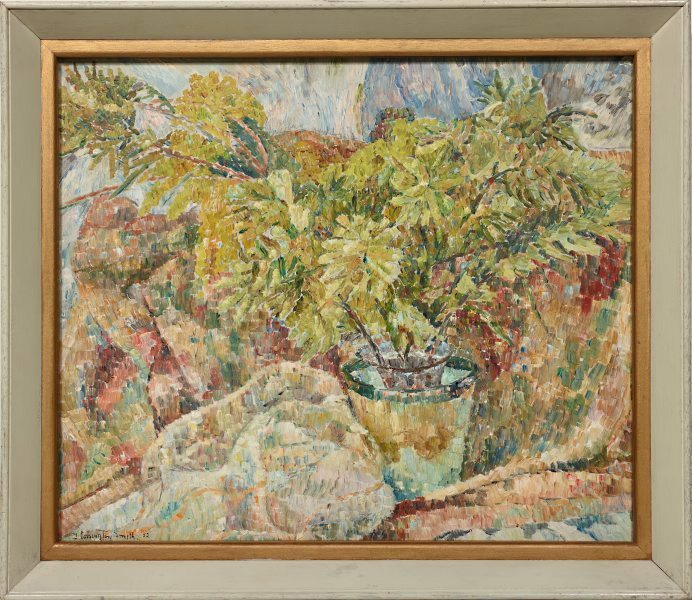 Deborah Hart, Look , 'Grace Cossington Smith: looking bakc at a life of colour and light', pg. 28-31, Sydney, Nov 2005, 30. Daniel Thomas, Art Gallery of New South Wales Quarterly , 'Grace Cossington Smith', pg. 510-521, Sydney, Jan 1970, 522 (illus. ).